Hi, fellow stamp fanatics! Welcome back! I was perusing some of my old Technique Junkie newsletters the other day, and came across a technique I had not yet tried. It sounded quick and easy, so I gave it a go. The Neutral Shadows technique is from the February/March 2011 (told you they were old!) issue, and was perfect for this sympathy card! To start, I stamped the Birds On A Fence (S613) stamp using Versamark Ink and embossed with white embossing powder. Even though it turned out more creamy colored than white, I still like it. Then, using a sponge dauber and some Distress Ink, I added color all around the embossed image and wiped off the excess from the embossed area. I stamped the sentiment from the With Sympathy (SS049) set and added some Nuvo Crystal Drops for a little more dimension. I hate needing sympathy cards, but at least this one was enjoyable to create! Hello, Stamping Friends! I'm back (again...twice in one week!) with a challenge post. On the second Saturday of each month, Technique Junkies will host a technique challenge. Each month will be a different challenge with samples and directions to the technique. What a great way to learn something new each month! This month, the challenge is Tie Dye Circles. A link to the directions can be found HERE. I actually did two cards using this technique, and couldn't really decide which one I liked better. Which one do you like better? The first card was done on watercolor paper, as the technique suggested, using Distress Inks. The image (Doxie Guilt Trip - SD625) and sentiment (Left Unsupervised - SD780) were heat embossed. The second one was done on Neenah cardstock using Gelatos. The image (Stand Tall - SD601) was heat embossed and the sentiment and accents are stickers. I hope you check out all the submissions for this challenge and give this technique a try for yourself! Hi, again! So glad you stopped by! I'm still playing with (and loving) the new April Releases from Technique Junkies and decided I would try a technique I've had my eye on for some time using one of the new stamps. This salt and watercolor method always catches my eye. And even though I drew funny looks when I went into my craft room with the salt shaker (no, it wasn't for margueritas, although that does sound good...), I ended up with a project I loved. 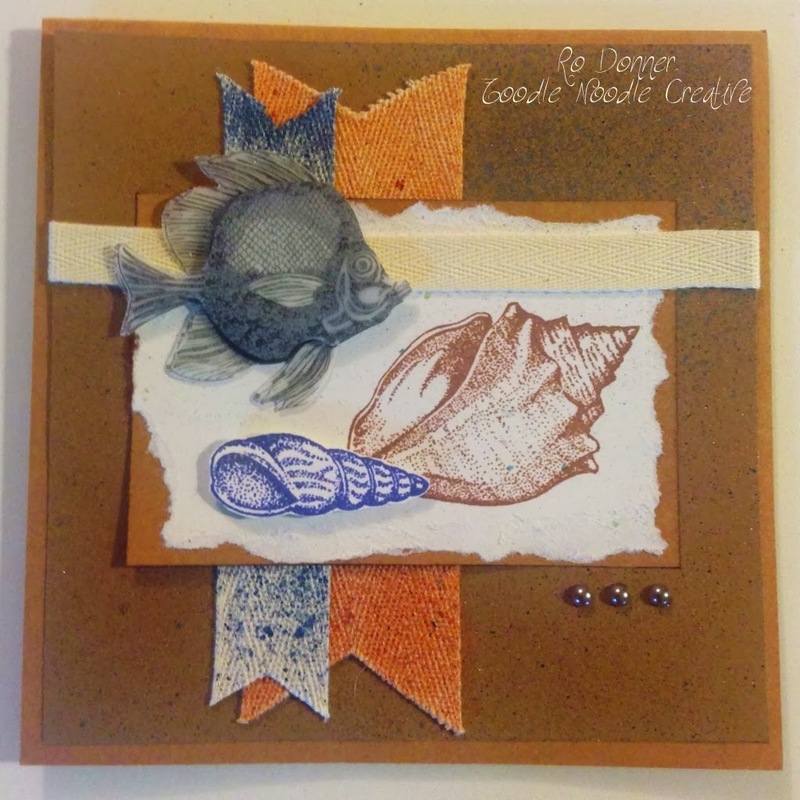 Along with the new stamp, Butterfly Dreams (S748), I used an older set called Things I Want To Do (S546). For the background layer, I watercolored a piece of CS with a few different yellows and oranges. I then sprinkled salt in several spots and let the piece dry. Once it was completely dry, I brushed off the salt and adhered it to a black mat, and then stuck that on my card base. I chose three sentiments and stamped them with Memento Tuxedo Black ink onto the watercolored panel. I added a little black embellishment between each sentiment. For the focal panel, I stamped the image with Versamark ink and embossed it using some orange embossing powder. I then lightly watercolored the background with a soft yellow and let the panel dry. It was then mounted onto a black piece of CS and attached to the card. \I think I'm ready for that marguerita now! Hey Hey Technique Junkies Fans!! It's time for the April Blog Hop and I can't wait to show you some of these gorgeous new releases! But first, let me tell you about the great discounts! Through April 8, 2017, receive 15% off all the newly released April Stamps! No need to enter anything special...your discount will be automatically applied at checkout. Want to save 10% on everything else (excludes new releases, clearance and Distress Oxide Inks/Reinkers)? Just enter the code TJ10Ro at checkout! 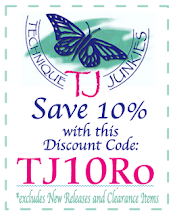 The 10% off is good any time...now or later! I have only a sampling of the new stamps. If you want to see all the new releases, just CLICK HERE! Ok, so if you arrived from the very talented (and newest DT Member) Jeanne Streiff, you are on the right trail! If not, the best place to start is at the beginning (so you don't miss a thing!). All links to the blog hop are below. I hope you enjoy all the wonderful new releases and the great projects the Design Team has to share with you today. If you have any questions on the making of my projects, just leave me a comment and I'll be happy to share my info.